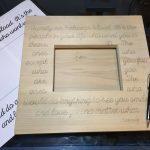 Today’s Blog and Tutorial is a quick start to finish look at our wood burning process and how to wood burn letters for beginners. 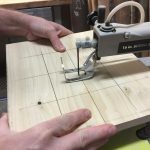 I receive a lot of questions about this process, so I like to put these “how to” articles together for wood burning and pyrography. 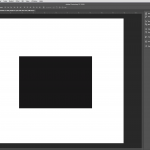 Please leave comments, ask questions or give suggestions for more tutorials. 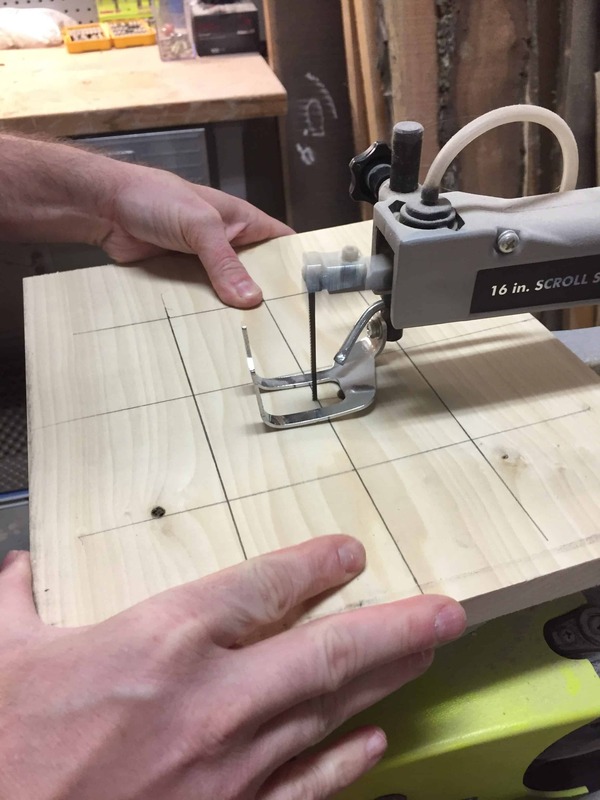 Clay is routing the frame. Let’s start with the canvases. Clay builds 95% of our canvases. 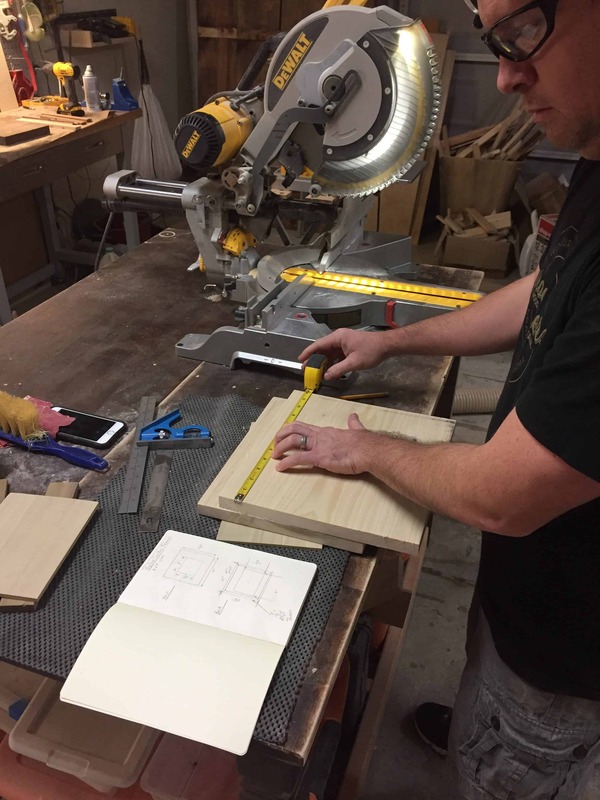 His wood shop is in our garage and he’ll get creative with the canvases and create something that has a miter art style, patchwork or reclaimed rustic style and I’ll try to find inspiration for a burn that goes with it. He also creates new pieces for us to experiment with from time to time. 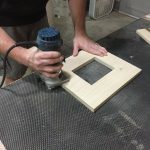 We have recently started trying to create picture frames. 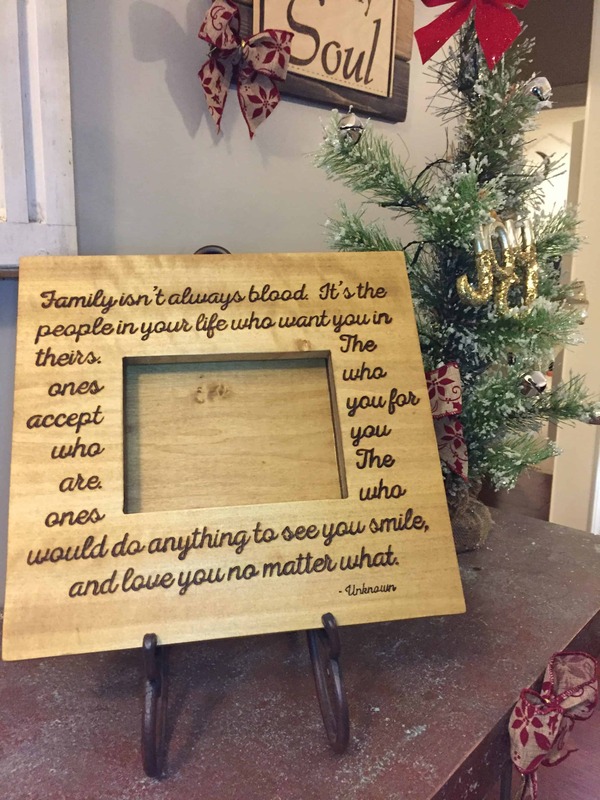 Clay builds wide edge frames so I can burn in a quote, a family name or an anniversary date. Once Clay is finished building the frames, he brings them to me for burning. 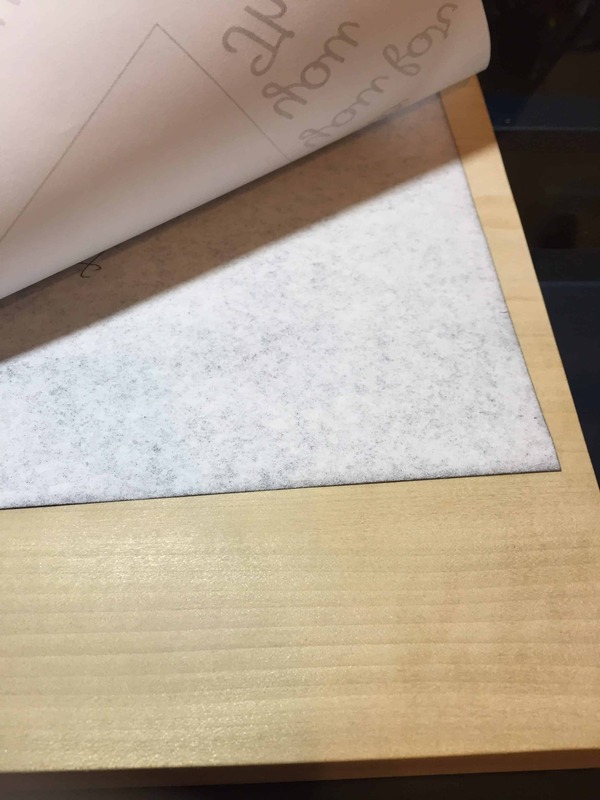 I measure out the amount of burn space in order to create a digital file in photoshop that is the same size as the piece. I’ll open photoshop, start a new file and input my measurements. This is to make sure my lettering size is proportional to the actual frame size. Aney measuring the frame to create a digital file. 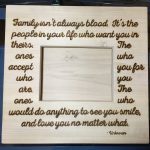 My wood burning template is ready for the frame. Now that my photoshop file is set, I’ll print out my lettering. 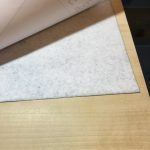 If the size of the file is larger than an 8.5” x 11” sheet, I print out all sections of the file and tape them together to create a template. 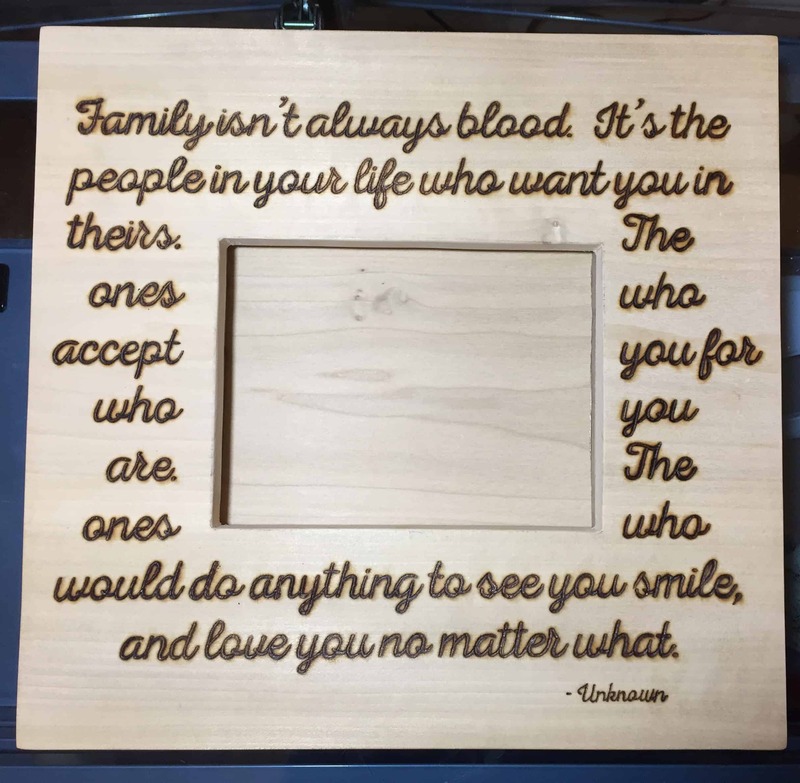 The Letters are now Transferred onto the wood canvas. 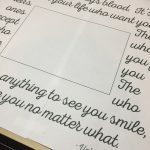 Once my template is ready to go, I tape it to the frame and place a sheet of carbon paper underneath. 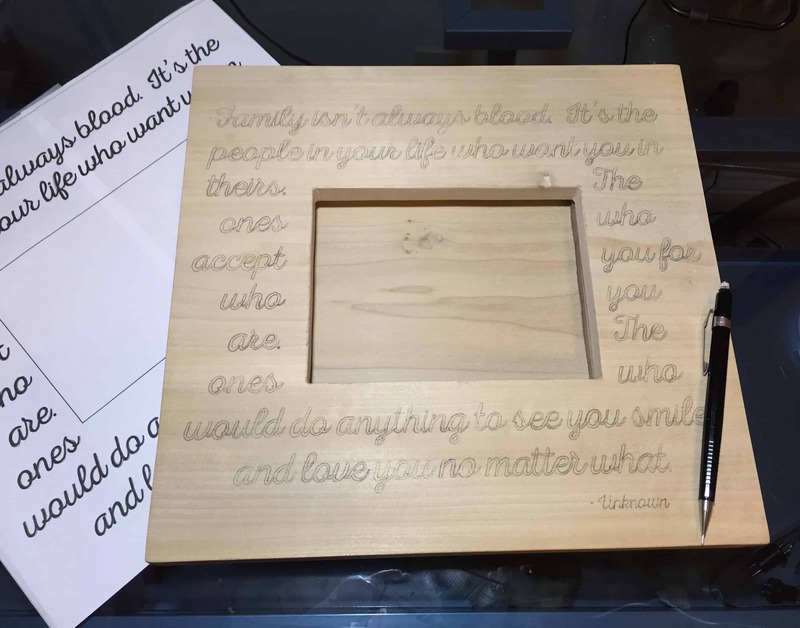 I’ll spend about half an hour copying the letters onto the wood. Copying the letters will help insure the letter sizing, spacing and accuracy. I will occasionally try to freehand letters, but for a finished professional piece I don’t chance it. 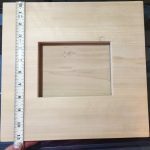 I want to make sure the finished piece is high quality and something someone would be excited to display in their home. Let the Burning Letters Begin! The next step is burning. I choose a tip that fits well in the letters and requires the least amount of strokes. I focus on keeping the letters filled and the lines straight with my burner tip. This amount of lettering takes a while to burn by hand. I like to put on a good pod cast or a movie and let it play while I burn. I also make sure I have on my safety gear. 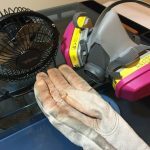 I wear a 3M respirator with Vapor Filters, gloves or thermal finger guards and I have two fans that move the smoke. One fan is right next to my burner tip to pull the smoke and another fan is in the window to pull it out of the room. The last step is finishing a piece. We may or may not add stain, it just depends on what we think it needs. 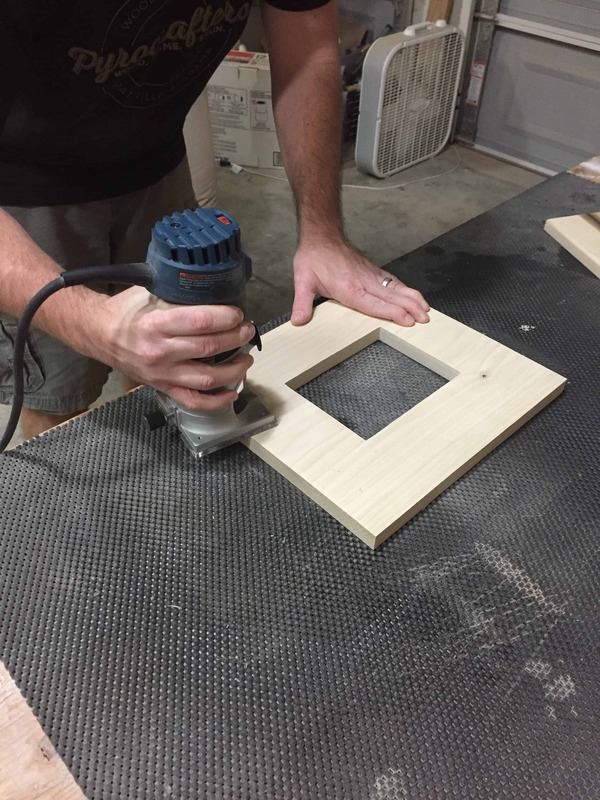 These frame pieces look great with a darker stain and then we finish it with a spray Matte Polyurethane or a Danish Oil. This step will take a few days. The stain needs to dry and the several coats of poly need to dry in order to ship. 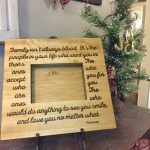 All Done with the wood burning! Stained and ready for a family pic. To sum up, we build, burn and finish. Clay and I both love this work and get so excited and grateful when we hear how much people enjoy it. Thanks for tutorial. Just starting to learn to wood burn. It is just a unique craft. Looking forward to some more tutorials. You’re welcome! 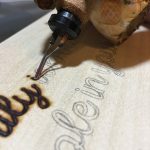 Is there anything in particular you’d like to learn about wood burning? I’m always looking for more tutorial ideas. Hey Carl! I use a Colwood Super Pro II from woodburning.com Thanks! which tip did you use for this? i found a colwood detailer on ebay, do you know if the tips are interchangeable? thanks! Newbie at this great craft. I was wondering about burning tips. Which tips do what ? I have a problem with shading as well. Hey James, Great question. There are a ton of tips to go over, so I’ll just cover a few. 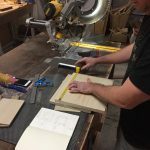 I use the the straight edge tips to create straight lines. The rounded tips are great for lettering. The flat tips are great for shading. You just need to practice with each kind and find the ones that you like to work with the most. Shading is tricky and it also just takes practice. I would start with a low heat and work your way up to higher heats. I use a circular motion to shade most of the time. It helps control the heat patterns and makes it easier to get the color you want. What’s your best advice you can give a newbie to the art. Hi Anne-Marie! My best advice is experiment with different woods. Find the ones you like best and then experiment with textures, tips and shading.